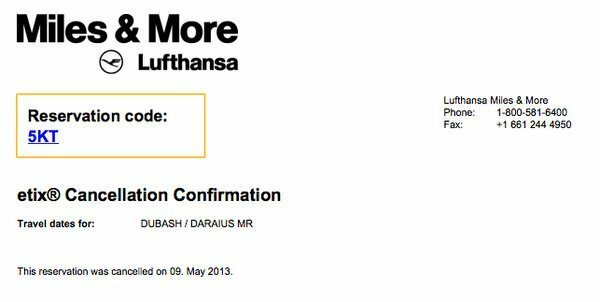 Using Lufthansa Miles: Part 2 – Introduction, Rules, Fees, Mile Expiration etc. I could not find much information on the program, so I’ve spent lots of time studying how to avoid the high fuel surcharges, discounted award flights, stopover rules, extra award seats to Lufthansa members and other quirks of the Lufthansa frequent flyer program. This will be the most comprehensive guide to using Lufthansa miles in English. If you’re new to miles and points, like my mother-in-law, there are better cards for you to apply for like the Chase Sapphire Preferred, Chase Ink Plus, or the other cards on the Hot Deals tab. But if you’ve been doing this for a while, the Barclaycard Miles & More World Elite MasterCard card could make sense for you – especially if you can use their miles for travel within the US and save your more valuable miles. But make sure you know the quirks of the program BEFORE you apply. 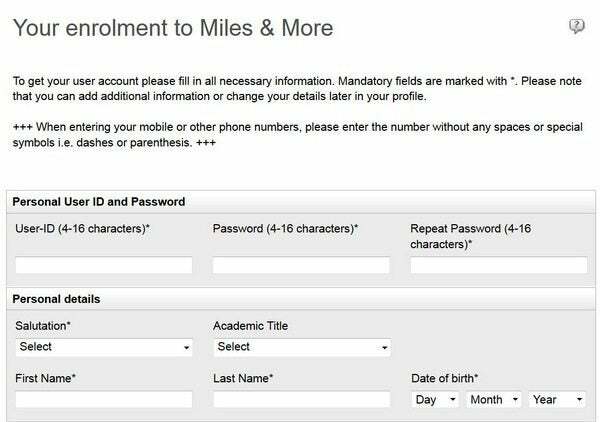 If you don’t have a Miles and More account, you can sign-up for one at this link on the Miles & More website. Once you have your Miles and More membership number, you can add it to your Award Wallet account to track your miles and expiration date. You need some miles in your account before you can search for award seats. Currently, you get 500 miles for subscribing to the email newsletter, so don’t uncheck the newsletter subscription if you want to use your Lufthansa account to search for awards immediately. If you apply for the Barclaycard 50,000 mile Lufthansa card, you should enter your Lufthansa Miles & More number on the application form so that the 50,000 miles goes directly to your Lufthansa account. Barclaycard will automatically sign you up for a Lufthansa account if you don’t enter a membership number. But it is additional hassle to call Barclaycard to get your Lufthansa Miles & More number and to then call Lufthansa to reset the password on your account so that you can access the account. Tip: You get your Miles and More number immediately online, but it takes 2 weeks to get your membership card AND PIN mailed to you from Germany. You can’t make award bookings until you have the PIN number, but you can call the Lufthansa service center and have them email your PIN to you instead of waiting for the mail. Where Can You Use Lufthansa Miles? Lufthansa miles will get you much better award seats on these airlines than if you use other miles such as United or Air Canada miles. Not only can you earn and use Lufthansa miles on any one of the above Miles & More airlines, but you can also earn and use miles on Star Alliance partners as well. Star Alliance is a group of 26 airlines which together fly to ~1,300 airports globally. United is a Star Alliance partner, along with Thai, ANA, Singapore Airlines etc. You can see a list of all the Star Alliance airlines here. However, you can’t book a suite class award on the Airbus A380 on Singapore Airlines with your Lufthansa miles. And you can redeem your miles on these airlines as well. However, award seats on these airlines was bad when I called to check. Where Can Lufthansa Miles Take Me? Pretty much anywhere in the world. Not only is Miles and More the biggest frequent flyer program in Europe but Star Alliance is the largest airline alliance in the world. However, you can only book awards online for Lufthansa and select Miles & More airlines. So you have to call the Lufthansa service center to book awards on other airlines. But the Lufthansa service center is very competent and has low hold times. 1. Paris, France. You can book flights to Paris from the US on Austrian Air, Swiss Airlines or Lufthansa etc. These airlines are members of Miles and More and you could book the flight online on the Miles & More website. However, if your flight involves using a United flight as well, you will have to call the Lufthansa call center to book the award. See tomorrow’s post for more details on calling Lufthansa’s different service centers. 2. Tokyo, Japan. Lufthansa does not fly non-stop from the US to Tokyo. But Star Alliance partner airlines like ANA (All Nippon Airways) does. But you can’t book this award online and will have to call Lufthansa to book it. 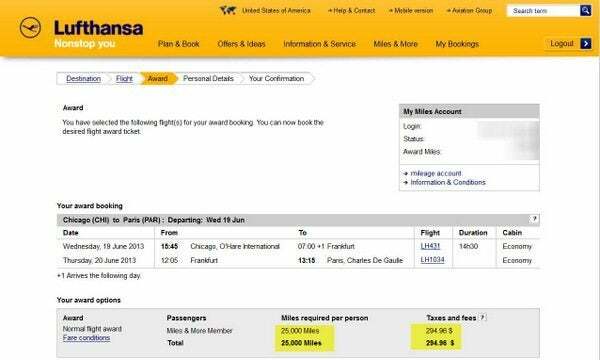 One of the biggest drawbacks of Lufthansa miles is that you will pay high fuel surcharges for most travel. For example, it costs ~$300 in fuel surcharges for a one-way coach award from Chicago to Paris. This increases to ~$450 for awards in business class or first class. But as we saw yesterday, flights back from the Europe to the US have lower fuel surcharges, and there are other ways to avoid fuel surcharges. So you’ll pay only ~$250 in surcharges for a 1-way business class back to the US on Lufthansa, Swiss etc. On the other hand, a paid coach ticket to Europe costs ~$1,200 and you do get extra award seats on Lufthansa and other Miles & More airlines, so this could be worth it to some. But in general using Lufthansa points on Miles & More airlines means that you’ll be paying (more) cash as well. You can use 18,000 miles to pay for taxes, fees, and fuel surcharges, but this is ONLY for flights within Europe operated by Lufthansa and select Miles & More partners. So this isn’t a great deal. But it would be nice if you could do that for awards outside Europe. But not all partner airlines such as Air China, Singapore Airlines etc. have high fuel surcharges. Here are 17 great ways to use Lufthansa miles, but they are mostly in coach. And you have to call the Lufthansa service center to book these flights. Lufthansa, Swiss, Austrian Air, Polish LOT & Brussels Air release award seats 361 days in advance. You can also find seats on Austrian Airways and Adria Airways, but for international flights Lufthansa is your best bet when booking 361 days in advance. In contrast, airlines in the US usually let you book only ~331 days (~11 months) out. So you have a good shot at getting award seats on certain Miles & More flights. However, you won’t be able to book 361 days in advance if your itinerary includes a connection with a partner airline, such as United, whose booking schedule opens 337 days in advance. So there is no way to book flights within 48 hours of departure. The online booking website won’t show the flights and the agents can’t do it either! You can book one-way awards using Lufthansa miles for 50% (half) of the price of miles in the award chart. For example, let’s say that the round-trip cost in the award chart is 50,000 from the US to Europe in coach. You can also book a one-way award from the US to Europe for 25,000 miles. The terms say that if you book an award flying in Business Class one-way, and return in coach, you will pay the round-trip price for Business Class. This is silly because you can get around it by booking two one-way awards – one in business class and one in coach! This is great because you *have* to call the service center to book certain awards. Remember that only airlines which are part of the Miles and More program can be booked online. Other airlines like United, Thai, Air New Zealand, etc. must be booked over the phone. The good news is that there is NO charge if you cancel an award WITHIN 24 hours of making the reservation! I verified that flights can be cancelled within 24 hours of booking. I booked a flight to Alaska in the morning and called in the evening, after my miles were deducted and the confirmation email had arrived, to cancel the ticket for free. This makes booking risk free as long as you remember to call and cancel within 24 hours. 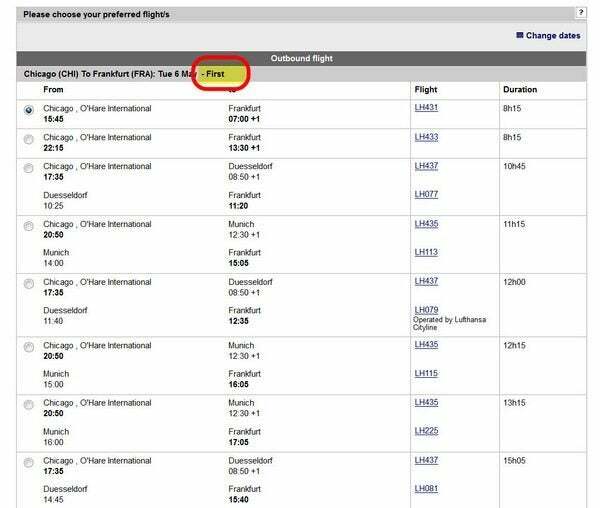 However, Lufthansa charges a $60 fee to cancel or change an award ticket AFTER 24 hours of making the booking. This includes changes to the date of travel, which are usually free with US airlines. On the other hand, US airlines charge ~$150 to cancel or make substantial changes to an award ticket. Lufthansa has reduced flight awards only on Miles & More airlines such as Lufthansa etc. You pay fewer miles for certain awards such as Fly Smart awards, mileage bargains and 75% of the usual mileage for children under 12, and we’ll discuss them in future posts. But you CANNOT cancel those awards and have the miles refunded to your account. Moreover, you will NOT get the fuel surcharge portion of the award refunded to you as well. Fuel surcharges are ~$200 to $500 each way on Miles & More airlines so this could be very expensive if you can’t use your award! There is NO late ticketing fee (i.e. an additional fee for booking an award ~2 weeks before departure) on Lufthansa. In contrast, US airlines often charge late ticketing fees of about $75. Putting a flight on hold means that the award seats are held for you (and not available to anyone else) and you can complete the booking process (by paying the taxes and fees) up to when the hold expires. I wasn’t able to find an agent that would put any other partners on hold. They said that the partner airline won’t let them, but surely that isn’t the reason! Also note that a German agent said that the hold time was 6 days, but ALL US agents said that the hold period was 5 days. So I’d plan on a 5 day hold period since we’ll likely be calling in to the US service center. Any mileage not redeemed within 36 months of the date of accrual (date of flight, start of hotel stay, time of car rental) will expire at the end of that quarter (e.g. miles expiring in August of any given year would expire at the end of September of that same year), failing other arrangements published in the Miles & More communication media. 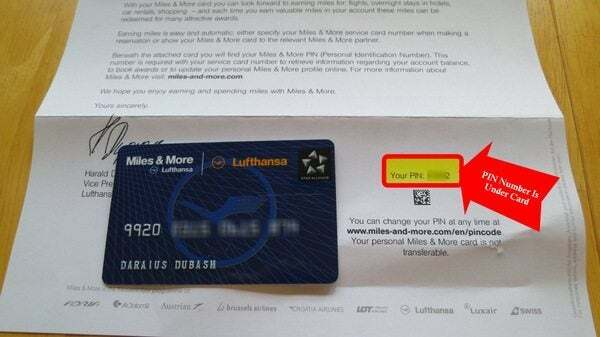 This means that your Lufthansa miles will expire in ~3 years from the date when you earned the miles. So you better use the miles within 3 years (which you should do in any case). Your online statement will tell you when your miles are due to expire. Unless you have Lufthansa elite status, your miles will expire in 3 years. The easiest way to keep your miles active beyond 3 years is to set a small recurring purchase (Netflix etc.) 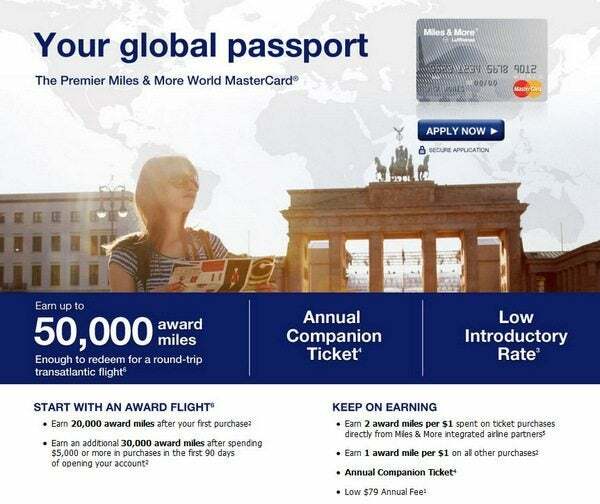 on your Barclaycard Miles & More World Elite MasterCard. I don’t see this as a big deal because you should use the miles in less than 3 years since they lose value over time. You get extra award seats using Lufthansa miles on their Miles & More airlines, but you also pay extra in fuel surcharges. You also won’t get your miles and money back if you book a reduced price award. And you have to call Lufthansa to book award flights on more partners. But as we’ll see tomorrow, they have a very efficient service center. 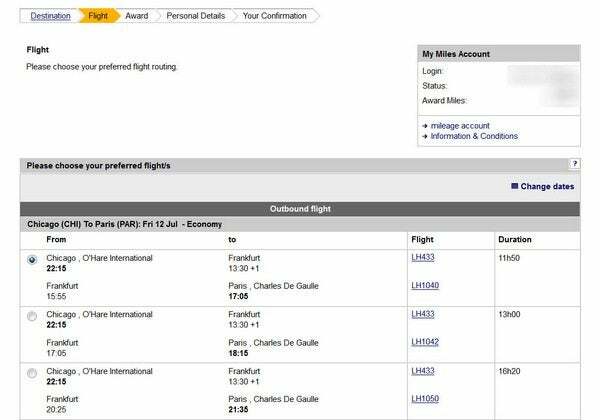 The information provided on LH Miles&More ticket changes is incorrect. Once award tickets are issued, the change fee of $60 only applies to the date and flight option(s). You cannot change the city (e.g., LHR FRA to AMS FRA) even if the required award mileage is the same without LH requiring that you cancel the entire reservation and then try to make a new booking provided that the award inventory is still available. I got my miles and more card in India last month . Is there any charge that I have to pay for it?? I have never used it. So do I have to pay for it in any form? Is there any hidden charge for it that I’ve to pay in future?? If my miles expire at the end of march can I book now for a flight in July? I see an award in December for LH DEN-FRA. Can I book that segment and then add a segment either on LH or other Star Alliance partner onward to BKK if something opens up? @Kevin – You’ll have to pay more miles because BKK is in a different award zone than FRA. @Neeraj – Sorry to hear about that. Unfortunately, there is nothing you can do if your miles expired. You could call and ask if they will reinstate them.